Everyone familiar with the Help-U-Sell Real Estate brand knows there has always been a strong representation of franchise offices in the state of California. Over the past few years, we’ve been working to grow our presence in Florida, and those efforts have been paying off with a growth of 50%. Please meet our three newest members of the Help-U-Sell family. 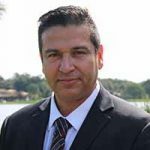 When Hugo Calvillo wanted to return to selling real estate after the market crashed in 2008, he studied several franchise options before deciding to open a Help-U-Sell Real Estate office in Orlando, serving the Space Coast region and surrounding counties. 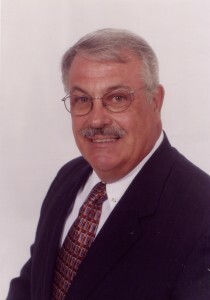 Mr. Calvillo started with a traditional, 6% commission-based real estate company. While grateful for the industry knowledge gained, he wanted a different experience for both himself and the home seller, so he forged a new path. “The business model that Help-U-Sell offers is a good disruptor to the conventional 5% to 6% model that everyone else is using. Many other franchise options exist within a similar price range, but Help-U-Sell offers a lot more flexibility. They have over four decades of experience fine tuning this model, whereas many other options have come and gone over the years. 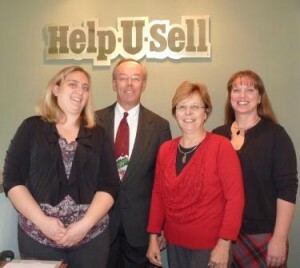 Help-U-Sell continues to exist and thrive for a very good reason, it works well,” Hugo said. There is also more simplicity with the Help-U-Sell model. “There are real estate franchises that require you to have 3,000 square feet of office space. You’ll also need furniture, computers, and people to fill the offices. You rack up utilities. You spend more money advertising the agents rather than the business. I’ve already done that, I love my little office and the two in-house members of my team. By keeping my expenses low, I can pass those savings on to the consumer. I know they see and appreciate the difference when they get their check. They get everything they needed, more than they expected, and they haven’t missed out on a full-service experience,” Hugo explained. Brian Meyerowitz and his wife Aimee are the best kind of Help-U-Sell Broker/Owners, the returning kind, warmly referred to as “alumni” by fellow Brokers and staff alike. Brian and Aimee spent a number of years in Chicago where they owned a Help-U-Sell office. They later moved to Florida and expanded their real estate offerings by getting involved with property management. While Brian spent time in a traditional real estate format, he recently felt the call to own his own shop again and wanted to run things a certain way. “We did very well in Chicago in the early 2000’s. We closed 50 sides in our first year, and grew steadily through the ensuing years. The brand recognition worked well for us. I have always liked the concept of providing deeper service, a set fee, and the Help-U-Sell branding message. 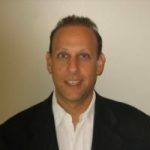 I am thrilled to return as Help-U-Sell Broward Realty,” Brian said. Jim McCarthy built a very successful brokerage after moving to Spain in 1998, but loved Florida so much that after a three-week vacation, he and his family made Florida their adopted home. Jim initially focused on a niche market of European clients seeking commercial investments. When the market shifted, he expanded to include residential real estate. Creating a hybrid of a traditional office and a reduced fee format, Jim had 25 agents working for him and managing properties, but something was missing. “What I didn’t have is 40 years of experience, a national reputation, and a brand that people recognized and valued. I really liked that,” Jim said. For more information on opening a Help-U-Sell Real Estate franchise in Florida, or any other state, call Dave Patterson, Chief Marketing Officer, at 941-951-7707 x 2001.